I was honored to have Frog Water Shallows accepted into this general art exhibit . Notice I didn’t say quilt show. Click the link to see the list of accepted artists and some of their websites. There has been a lot of talk on the Quiltart list about our work not being accepted as art. Some even said it must be framed to be art. Here’s proof that “It just Ain’t So!” Frog Water Shallows hangs from a slat with picture wire on each end. 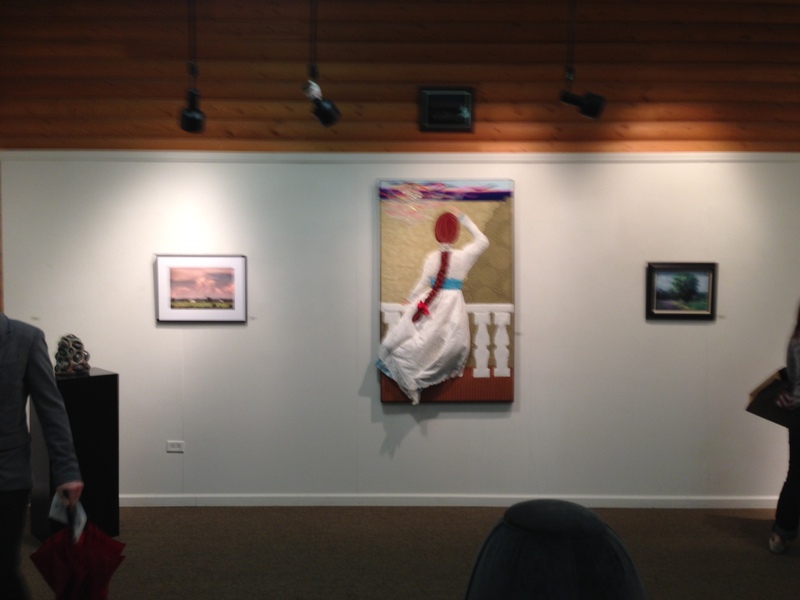 My friend Suzanne Thompson of Textured Words also had a piece hanging in this general art exhibit. She was able to attend the opening and graciously sent these photos. 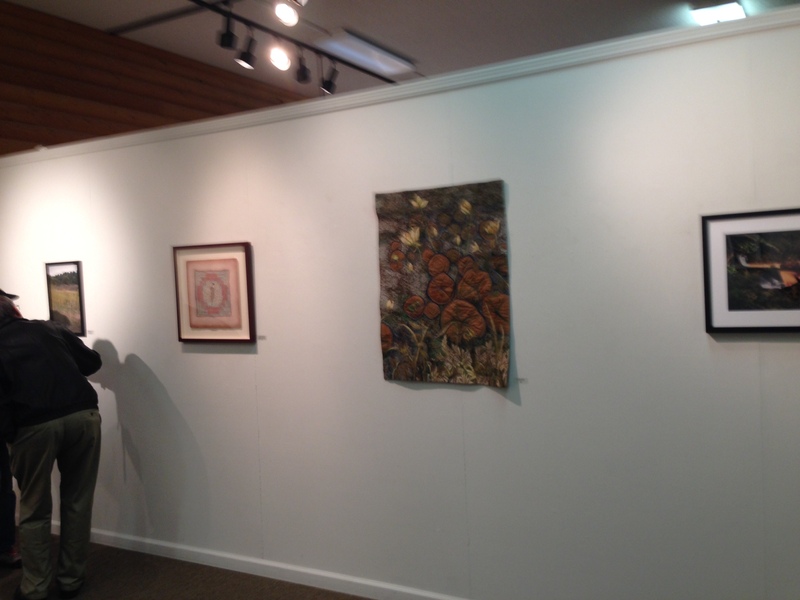 The Gallery space looks wonderful! I remember those poppies! Looking pretty good there!